The Parents' Choice Award is an award presented by the non-profit Parents' Choice Foundation™ to recognize "the very best products for children of different ages and backgrounds, and of varied skill and interest levels." It is considered a "prestigious" award among children's products,and has been described as the industry equivalent of an Academy Award. Awards are given out in the following categories: audio, books, DVD, magazines, computer software, television, toys, and video games. The awards are determined by a committee of educators, scientists, performing artists, librarians, parents and children. Approximately 20% of those items submitted to the Parents’ Choice Awards™ program receive a commendation in one of the six award levels: Classic, Gold, Silver, Recommended, Approved, and Fun Stuff. 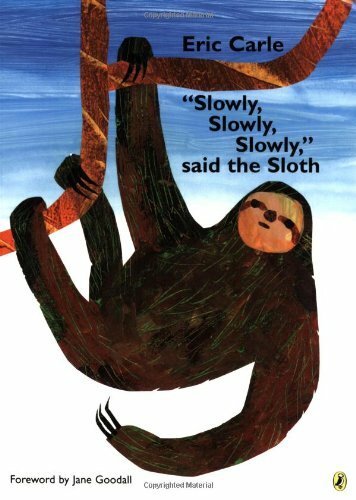 Slowly, slowly, slowly . . .that's the way the sloth moves. Slowly, it eats and then, slowly, it falls asleep. "What strange kind of creature is this?" the other animals wonder. Why doesn't it run or fly or play or hunt like the rest of us? "Why are you so slow?" the howler monkey inquires. But the sloth doesn't answer any questions until the jaguar asks, "Why are you so lazy?" Amzon Product Link: Hello World! 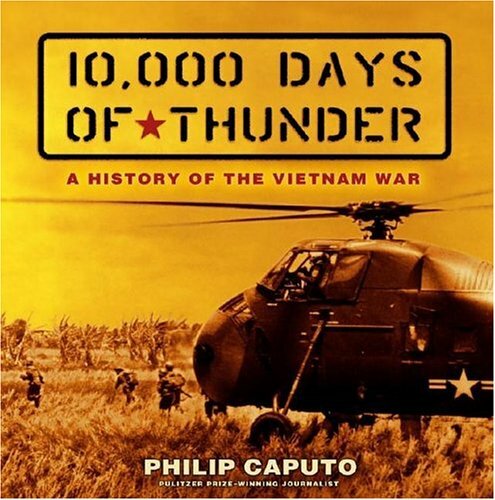 Publisher/Producer: Dorling Kindersley Publishing Inc. 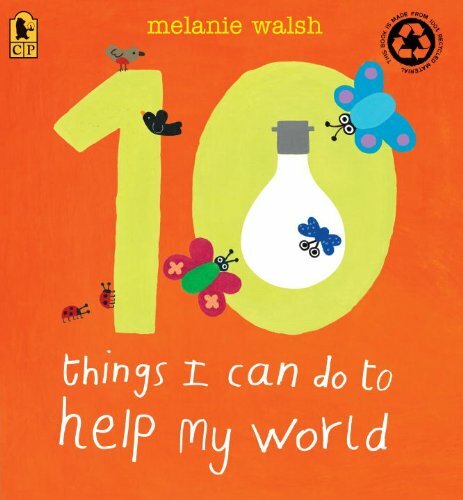 Even young children are eager to help the environment and here is a bright, inviting novelty book that offers simple ways to make a difference. Do you remember to turn off the tap while you brush your teeth? How about using both sides of the paper when writing and drawing? Or planting seeds and nurturing the new plants as they grow? Bold, child-friendly illustrations and die-cut pages will draw even the youngest listeners to this gentle reminder of the easy, everyday ways we can be kinder to the earth. Publisher/Producer: Dorling Kindersley Publishing, Inc.
A 1999 Parents' Choice Approved Seal Winner! This book provides a terrific collection of practical and enjoyable suggestions for parents to help their children develop reading and writing skills in the home environmentat bedtime, while watching TV, in the car on vacation, at the grocery store, or in the kitchen. Parents discover how to incorporate literacy learning into eveyday activitiesany time, anywhere! Appropriate for ages 4-10. 102 Dalmatians: Puppies to the Rescue is a 3-D adventure in which you play as either Oddball or Domino and rescue puppies from Cruella De Vil. Other characters from Disney's 102 Dalmatians movie include Dipstick, Dottie, LePelt, Waddlesworth, and Fluffy. There are 20 levels and six minigames that are set in environments like Big Ben, Regent's Park, Piccadilly Circus, the Ice Festival, and De Vil Manor. Players will solve puzzles, perform tricks, and lure Cruella's henchmen--Horace and Jasper--into secret traps. The game stars Frankie Muniz as the voice of Domino. Publisher/Producer: Bill & Bud, Inc.
2013 Parents' Choice Award Winner! 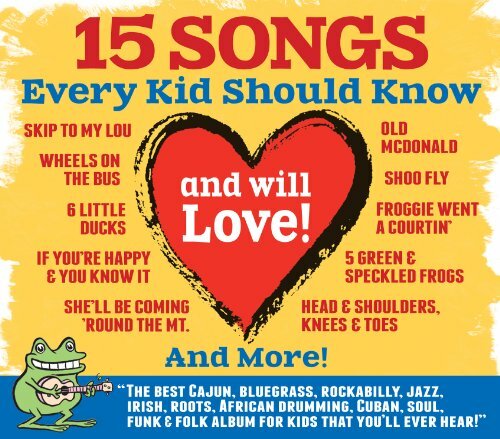 Bossy Frog Productions is proud to release 15 all-time favorite children's songs with a fresh take! The best Cajun, bluegrass, rockabilly, jazz, Irish, roots, African drumming, Cuban, soul, funk and folk album for kids that you'll every hear! These are the songs that children love to sing AND they are part of our cultural history. 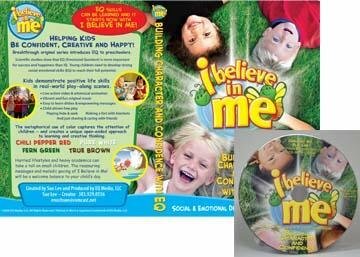 Producer Jeffrey Friedberg MA, MT-BC wanted to record these songs in ways that keeps them relevant for children growing up in today's world. Children won't even know they are learning as they listen! From "Old McDonald" to "Shoo Fly" to "If You're Happy & You Know It" to "Wheels on the Bus"! Only real instruments were used in the recordings, including banjo, fiddle, trumpet, drums, dobro, acoustic and electric bass, harmonica, boudran, tin whistle, piano and electric and acoustic guitar. Over 40 amazing musicians came together to make this wonderful collection of music for children and families. From jazz virtuoso, Steven Bernstein, to rocker, Jon Pousette-Dart, these versions of 15 classic children's songs are sure to delight the entire family. Children will sing and dance along as they are learning while having fun! Ages: 8 - 20 yrs.